Mayo Clinic Optical offers a variety of safety eyeglasses. These eyeglasses allow more protection from the side with either detachable or permanent side shields. 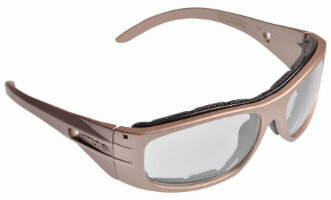 The lenses are manufactured to provide greater impact resistance than everyday glasses. You might also choose to wear safety eyeglasses for any other hobbies or professions that you have. All safety eyeglasses meet American National Standards Institute (ANSI) and OSHA standards.